Access complete solutions for your microbiology workflow. Thermo Scientific microbiology products include Remel and Oxoid culture media, VersaTrek blood culture systems, Sensititre systems for antimicrobial susceptibility testing, and market-leading molecular technology for food-borne pathogen detection. Combining over 150 years of technical and scientific expertise in serving the microbiology community, you can confidently rely on our product quality and expertise every step of the way. Bringing together the best in food safety testing, our combined Thermo Scientific™ microbiology offering and our global partners 3M and Hygiena™ Bax®, provides market-leading molecular instrumentation, sample preparation capability and PCR technology for food borne pathogen detection, meat speciation, GMOs and viruses. Testing for the presence of components ensures food manufacturers that an unlabelled and potentially dangerous ingredient did not make its way unintentionally into a product during manufacture. Our ELISA systems allergen assays and Mycotoxin test kits allow for the effective and fast screening for the presence of a range of allergen proteins and residues in food samples. A microbiological laboratory is a unique environment that requires special practices and containment facilities in order to properly protect persons working with microorganisms. Safety in the laboratory is the primary concern. 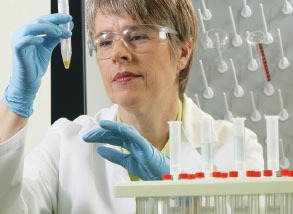 Thermo Fisher Scientific offers a range of Safety Testing products all dedicated to safety within the laboratory. The smartest laboratory solutions are the ones you never have to think about. Because they keep you focused on doing the science you need to do. The way you want to do it. Access complete solutions for your microbiology workflow with Thermo Fisher Scientific and our Global leading partner brands. Whether you prefer to make your own media, buy prepared plates, or take advantage of easy-to-prepare convenience formats, our culture medium expertise and rigorous quality standards have made us a preferred supplier and trusted source of prepared media to laboratories all around the world. Whether you are making 100 mL or 100 L, the same steps apply to media preparation. Eliminate many of these, from weighing out and autoclaving, to tempering, pouring or dispensing using ready-prepared media and convenience formats. Let us help you save time and labour. Diagnose infections quickly and accurately for better patient care with powerful manual and automated technologies, and a comprehensive line of media and clinical diagnostic products. Our product portfolio offers a large selection of Thermo Scientific environmental testing products, including swabs, plates, tubes and custom media formulations; as well as a leading solution in air and surface sampling from global brands such as 3M, Neogen and TSC. Depend on the industry’s leading microbiology expert, Thermo Fisher Scientific, to find the right solutions to optimise your workflow for Pathogen testing. With timely and accurate results, you can effectively support patient well-being and satisfaction. Biochemical, Immunological, Immunofluorescence or Enzyme Immunoassays, the choice is yours. Satisfy your antimicrobial susceptibility testing (AST) requirements with high performance automated and manual test products to help ensure patients are on the most appropriate treatment plan. Our AST products are designed with the user in mind and with what matters most: accurate, reliable and consistent results. Thermo Scientific™ Quality Control Organisms are ready-to-use QC organisms recommended for use in performance testing of media, stains, reagents and identification kits, and for the evaluation of bacteriological procedures. Let us be your source for complete quality control testing. Find a variety of formats and sizes of gas generating supplies to help you maximise incubation space and organism growth at the same time. All of our environmental solutions are designed to deliver the anaerobic, microaerophilic or CO2 conditions you need for microorganisms to thrive.